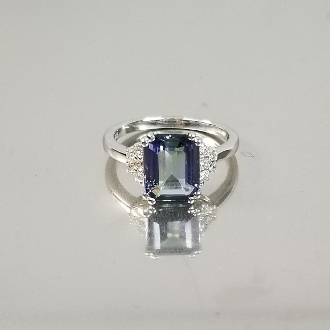 This solid 14 karat white gold ring has a beautiful emerald cut tanzanite set with white diamonds on the side. Total weight of the tanzanite is 2.7ct. Total diamond weight is 0.24ct.